These photos feature a terrific install of the Grand Illusions Color Spectrum. 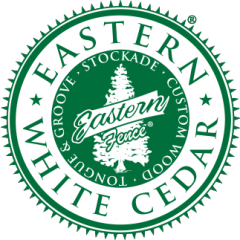 The specs are 30 Sections of Matte Finish Brown (L106) V3215DS-6 Tongue & Groove Vinyl Privacy Fence with 1″ Small Diagonal Lattice. It perfectly compliments the patio design with a foot or two of plantings and lighting leading into the fence. According to the contractor, “The homeowner on this install was very specific as to what she needed. A dark brown fence to compliment her home and swimming pool. 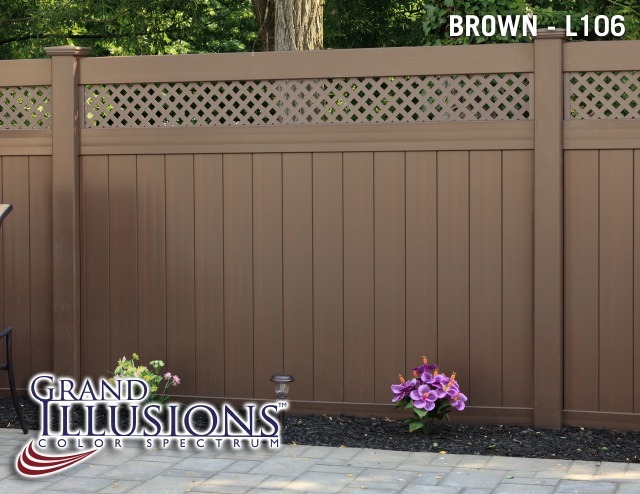 30 Sections of Brown (L106) V3215DS-6 Tongue & Groove Vinyl Privacy Fence with 1″ Small Diagonal Lattice.